Next week will begin a weekly feature where Kate will answer FIVE questions every week. Because it would be impossible to make an article if there weren’t any questions, here’s a post to get the ball rolling. So, just comment on here any questions you have for Kate, and they’ll be answered in next week’s post. That was a surprisingly simple post, eh? 1,392 Responses to "Ask Kate Questions"
What are Yellowfangs kits names? Hey Kate, I have a couple questions actually that I can think of at the moment. What did Thrushpelt do in StarClan? 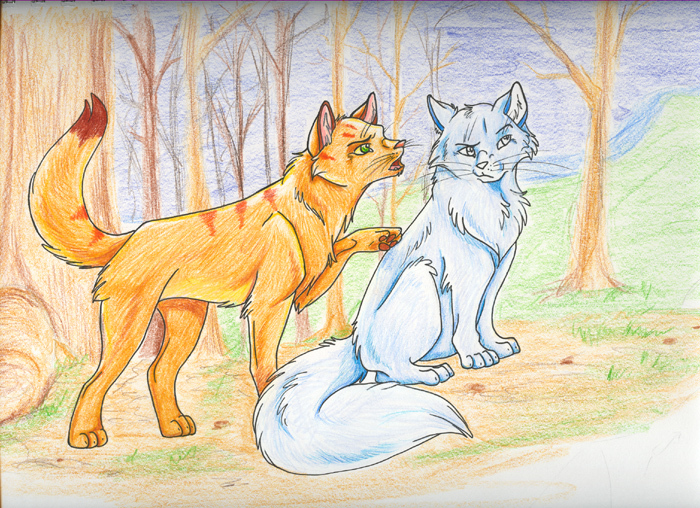 I mean did he help take care of Mosskit with Snowfur, did he ever hang out with Bluestar when she came to StarClan? Do you have any idea what some of those cats in Dark Forest (Maggottail, Silverhawk, Snowtruft, Sparrowfeather, Shredtail, ect. ) did to deserve their place in Dark Forest? Have the other Erins and yourself ever thought of making a Super Edition about the Tribe of Rushing Water? Or even one about Breezepelt and what happened to him after The Last Hope? That is about it really. Can we stop asking questions on this post now? What happens to Starclan cats when they die for the second time? I read that according to starclan Leafpool has a destiny unlike any other medicine cat before her. What’s Leafpool’s special destiny? Have you read all of Power of Three and Omen of the Stars? If not, *SPOILER* her destiny was having kits. I know I’m not Kate, but I couldn’t resist answering when I knew the answer. Is there going to be a 6th series? If so, what time period will it be in? And what main characters? Will it focus on a different clan like Shadowclan, Windclan, or Riverclan? I wouldn’t mind if it still focused on Thunderclan but it would be cool to see another point of view.